Come join John Mattson as he reflects on a lifetime of adventures and exploration. His journey spanning six continents includes climbing ascents of magnificent desert spires, kayaking some of the world’s deepest canyons, as well as high peak climbing and ski adventures. Driven by his love for the environment and deep desire to follow his dreams of exploration, Mattson’s stories are both highly entertaining and inspiring. 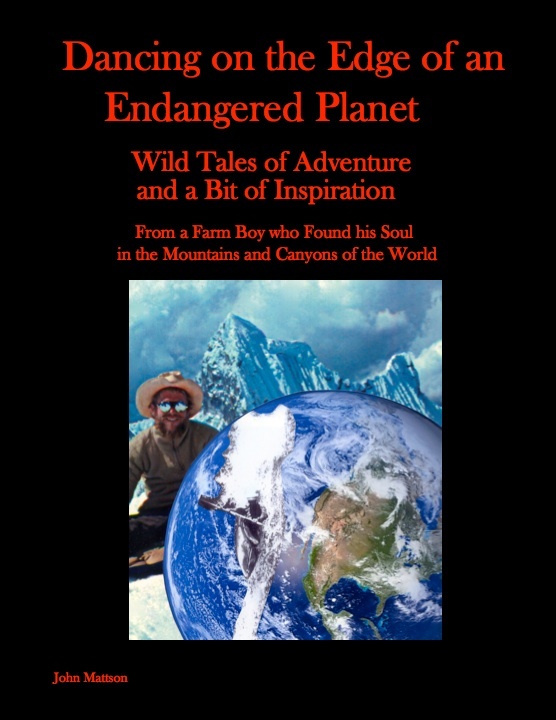 Mattson will also be selling his book, “Dancing on the Edge of an Endangered Planet” at the event, delving in even deeper into his life of adventure. Boulder Weekly article about John’s adventures.